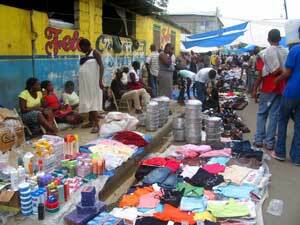 All across the Dominican Republic there are Haitian Markets that travel from place to place, selling items that are donated to the Haitian Government as foreign aid. These wares consist of excess clothing, shoes, toiletries, and other articles that are sold in massive bundles to individuals. 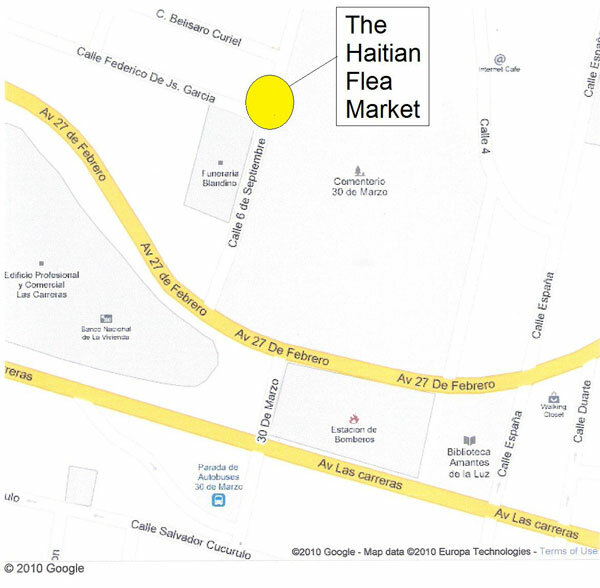 The Haitian Open Market, or the Pulga (Flea Market) as it is known in Spanish, in Santiago is a great place to go and shop for retro clothing and other items. I love it for the clothes myself, since I always find something unique as I dig through the piles of colorful fabric that line the streets every Thursday. The market starts at about 7:00am. If you are going to get nicer items or clothing, early is the best time to go, since no one has picked through everything yet. Dominican shop owners get there early too in order to buy “American brand clothing” in their little boutiques. So, if you wait too long there isn’t much left to choose from. If you don’t care about the clothes or are just looking for random items, then going around 11am is good because they start to lower prices to sell off as much as they can before they have to pack back up and go to the next town. You’ll hear, “Diez pesos, todo a diez! (Ten pesos, everything for ten pesos!). I always go about then for household items because they are much less expensive. Imported goods are heavily taxed in Customs and that price is reflected in how much you pay in normal stores. For example, in the stores here skirt hangers are somewhere around 3 for $150.00-200.00 RD ($4.00-5.50 USD), but at the Pulga a bundle of five is $25.00 RD (¢.69 USD). Most household items will be in that price range. Clothes and shoes will vary. 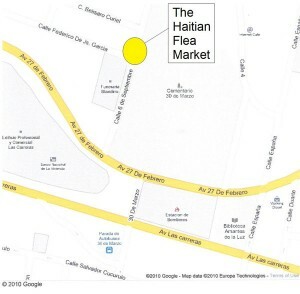 If the items are from the clothing tables that are from the donated clothing bundles, you will pay around $20.00-50.00 RD. Normally, you will hear each table owner calling out the prices of their table. If the vender has separated the better quality items from the bundles, it saves you from having to work so much, but will cost more – somewhere in the neighborhood of $100.00 RD. The price will vary a bit depending on how much you haggle, so keep that in mind. 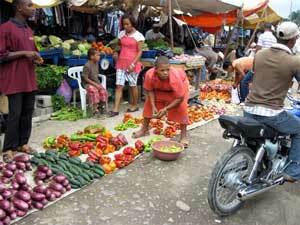 Like most countries that have packed open markets, you have to be careful of pickpockets. I haven’t had any problems myself. I tend to carry my spending money and phone in the front pocket of my jeans, and leave the rest home. However, I’ve had friends that have had backpacks and come out missing cell phones, cameras, wallets, and other items. As long as you keep that in mind, everything should go great, and you’ll have fun and find some great buys as you enjoy a colorful Caribbean marketplace. I’ve always wanted to go see Dominica. Can’t help to wonder though, is it really safe over there?